This is the supreme edible keepsake for any party. Your guest can choose from six different flavors that they can mix any way they like in a 12” tube. 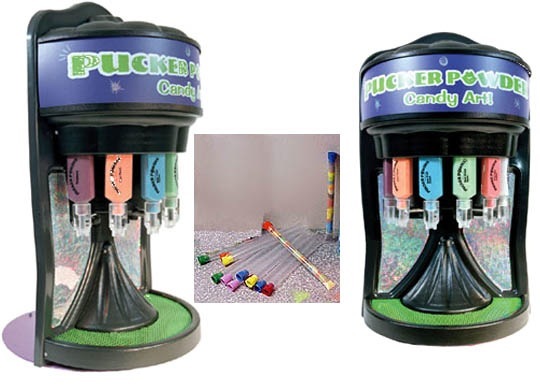 Package includes an attendant, 100 tubes, pucker powder for 100 hundred tubes, and the machine. Additional tubes sold in 50 count packs.